Miami Summer 2 features soft blues, greens and pinks like the colors of the sky and ocean. 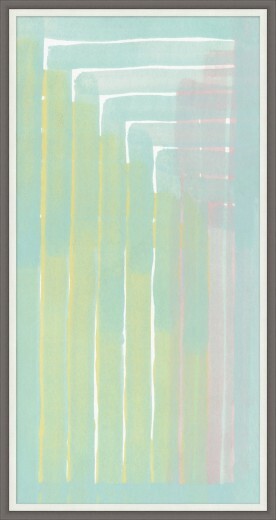 This soothing painting coordinates with Miami Summer 1. Alone or with the coordinating piece, this artwork will evoke a soft and light feel.